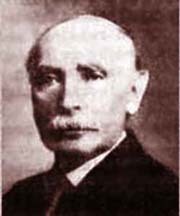 Dr. Ivan Panin (1855-1942), after graduating from Harvard University in 1882 with a thorough knowledge of Hebrew and Greek, decided to study the Bible in the original languages to assess its literary value. He discovered that, in the Holy Scriptures, the Hebrew and Greek numerical values of the letters of the original texts were built on sevens and multiples of seven. He devoted fifty years to studying this phenomenon. For example, the first sentence of the Bible, “In the beginning God created the heaven and the earth,” has seven Hebrew words totaling 28 letters (4 x 7). The words “God,” “heaven,” and “earth” each have a value of 14 (2 x 7). The verb “created” has a value of 203 (29 x 7); the first, middle, and last letter in that word amount to 133 (19 x 7). The first and last letters of all the seven Hebrew words in the first sentence of the Bible add up to 1393 (199 x 7). The more Dr. Panin studied, the more apparent this amazing pattern became. (You can read more about Dr. Panin by going onto the Internet and searching under “Panin number seven.”) He had found one of God’s watermarks of authenticity and became a firm believer! In the school of life, where Jesus is our Teacher and the angels are our tutors, the full course will end with a final exam. 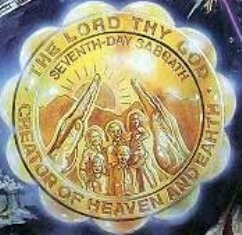 According to the Holy Scriptures, those who receive “the mark of the beast” will fail (Revelation 14:9-11), while those who receive “the seal of God” will graduate and pass on to the fascinating new school on the new earth. Revelation 7:2-3; 14:1, 12. 1. What is a seal, and what are its elements? 2. How might the seal of God read? The Lord God (name), Creator (title) of the Heavens, the Earth, and the Sea (territory). 3. Where in the Scriptures did God establish His authority with the elements of his seal? “Remember the Sabbath day, to keep it holy. 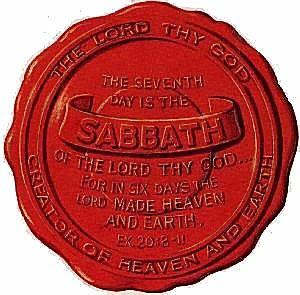 Six days you shall labor and do all your work, but the seventh day is the Sabbath of THE LORD YOUR GOD [name]. In it you shall do no work…. For in six days the Lord MADE [title: Creator] THE HEAVENS AND THE EARTH, THE SEA [territory], and all that is in them, and rested the seventh day. Therefore the Lord blessed the Sabbath day and hallowed it” (Exodus 20:8-11). God blessed the Sabbath and placed His royal seal of authority on it. 4. What clue do we have about the mark of the beast? “‘If anyone worships the beast and his image, and receives his mark on his forehead or on his hand, he himself shall also drink of the wine of the wrath of God…. He shall be tormented with fire and brimstone … and they have no rest day or night, who worship the beast and his image, and whoever receives the mark of his name.’ Here is the patience of the saints; here are those who keep the commandments of God and the faith of Jesus” (Revelation 14:9-12). The clue is that those who will not have the mark of the beast are those who keep the commandments of God–the very ones who receive the seal of God! 5. Who, in Christ’s name, marks its “authority” by pretending to establish another rest day? “It was the Catholic Church which, by the authority of Jesus Christ, has transferred this rest to the Sunday in remembrance of the resurrection of our Lord. Thus the observance of Sunday by the Protestants is an homage they pay, in spite of themselves, to the authority of the church (italics ours).” (Monsignor Louis Segur, Plain Talk about the Protestantism of Today, 1868, p. 213.) The Catholic Church, then, claims the establishment of Sunday observance as the mark of its authority. 6. Did Christ give anyone the authority to change His Father’s law? “Assuredly,” said Jesus, “till heaven and earth pass away, one jot or one tittle will by no means pass from the law till all is fulfilled” (Matthew 5:18). Considering the condition of this world, one would be hard pressed to prove that “all is fulfilled.” The claim of the Catholic Church that it changed the law is false. Recall that in vision Daniel saw that the “little horn” would “*endeavor to change time and law” (Daniel 7:25 in the original Aramaic). 7. Does God care which day we hallow? “Therefore you shall be perfect, just as your Father in heaven is perfect” (Matthew 5:48). God said, “The seventh day is the Sabbath of the Lord your God” (Exodus 20:10). (See also Isaiah 58:13.) This is the memorial of His creation. Exodus 20:8-11; Genesis 2:1-3. God identifies with the number seven. Just like all the sevens everywhere in the Bible, every Sabbath is a multiple of seven. This has been so since the seventh day of creation. Christ said, “In vain they worship Me, teaching as doctrines the commandments of men” (Matthew 15:9). 8. But shouldn’t we honor the day on which Jesus arose from death as much as His memorial of creation? We should be filled with gratitude every day of our lives because God created us. Then, when sin marred His perfect creation, He sent His Son to shed His blood on Calvary to rescue us from the eternal death that is the natural result of sin. God gave specific ordinances to commemorate both–the weekly Sabbath to memorialize creation, and the rites of the Holy Supper and baptism to remind us of Jesus’ death, burial, and resurrection (Romans 6:3-5). As vital to salvation as the resurrection is, God gave no instruction to celebrate it on a weekly basis. 9. Why does God require man to celebrate creation more frequently than the resurrection? (1 Corinthians 11:26–God gave no specific command about how often to celebrate the Lord’s Supper.) The Creator is our indisputable Ruler. Inherently rebellious, we are in denial of this. The “natural man” wants freedom from God’s law (see Romans 8:7). Hence man felt ill at ease with a day honoring creation and decided to commemorate the resurrection instead. (Bishop Eusebius, 263-339 A.D., stated that “All things, whatever that it was duty to do on the Sabbath, these we have transferred to the Lord’s Day.” –Robert Cox, Sabbath Laws and Sabbath Duties, p. 538.) Yet our Creator knows our makeup; He knows what’s good for us and what‘s harmful. Our refusal to obey His law is ruining us. The Sabbath reminds us weekly of who God is. We “remember … [our] Creator” when we “remember the Sabbath day” (Ecclesiastes 12:1; Exodus 20:8). 10. Christ is both our Creator and our Saviour. What practical significance does this have? “Thus says the Lord, who created you,… ‘Fear not, for I have redeemed [saved] you;… you are Mine” (Isaiah 43:1). This means everything to us! Creation is about God’s natural right to rule, discipline, and judge. Salvation is about love and all the virtues inherent in that concept. If our Creator didn’t love us, we would be prisoners of fear; and life would hardly be worth living. On the other hand, if we had only a loving Saviour who had no right to rule, we’d have chaos. The reason there is so much confusion even in the Christian world today is that many worship a loving Saviour but have forgotten that He is also their Creator, Lawgiver, and Judge, who “will by no means clear the guilty” (Exodus 34:7)! How significant it is that our Ruler and Judge gave the ultimate sacrifice to prove His love for us! 11. Can undermining creation affect our taking on the challenge of salvation? “Create in me a clean heart, O God; and renew a right spirit within me” (Psalm 51:10 KJV). Sunday worship, and belief in evolution or evolution-based creation, portrays God as needing long ages to create the world rather than only six 24-hour days. Such belief greatly lowers a person’s concept of the almighty Creator. Both undermine the resurrection that Sunday worship allegedly commemorates. If we can’t believe that God instantly created man, as recorded in Genesis, why should we believe that He will instantly resurrect us, or that He’ll make those of us who are alive when He returns instantly immortal? How can He create in us new hearts today when we ask Him to? If we don’t believe He can, we will expect Him to save us the way we are, without a genuine change of heart, a real conversion. Counting on this would be a fatal mistake! Finally, unless we trust His creative power, where will we get the courage to obey God under the threat of persecution and death? It was faith in the creative power of God and love for Him that gave the heroes of the Bible the courage to fight and win the Lord’s battles (Daniel 3; Hebrews 11-12:2). 12. For how long will the memorial of creation continue to be blessed and sanctified by God? “‘As the new heavens and the new earth which I will make shall remain before Me,’ says the Lord, ‘so shall your descendants and your name remain. And it shall come to pass that … from one Sabbath to another, all flesh shall come to worship before Me’” (Isaiah 66:22-23). 1 Chronicles 17:27. The redeemed will keep God’s Sabbath of rest forever, for it celebrates His power to create man in His image as well as His power to restore His beautiful character in man. Ready for the Exam? 13. THE TEST: When your life is threatened, will you obey God or men? When the religious authorities demanded, “Did we not strictly command you not to teach in this name?” the disciples replied, “We ought to obey God rather than men” (Acts 5:28-29). So, during earth’s “finals,” every person will have to face the question: Will I obey God and keep the seventh day, or will I obey men and keep the first day, “the venerable day of the sun”? Those who love and trust Jesus will honor and obey all of God’s commandments–whatever the consequences. (“For this is the love of God, that we keep His commandments.” 1 John 5:3. “All who desire to live godly in Christ Jesus will suffer persecution.” 2 Timothy 3:12. See also Revelation 12:17.) Upon them God will place His seal, their passport to eternity. Revelation 22:14 KJV. “Because you have kept My command to persevere, I also will keep you from the hour of trial which shall come upon the whole world, to test those who dwell on the earth. Behold, I am coming quickly! Hold fast what you have, that no one may take your crown” (Revelation 3:10-11). What about … PASSING THE FINAL EXAM? • Will people who sincerely keep Sunday, being ignorant of the true Sabbath, be lost? “Truly, these times of ignorance God overlooked, but now commands all men everywhere to repent.” “And this gospel of the kingdom will be preached … as a witness to all the nations, and then the end will come” (Acts 17:30; Matthew 24:14). God judges no one for what they could not know. But He will make sure that all who live at the end of time will understand the issues. • With all the calendar changes, how do we know that Saturday is the real seventh day? Reliable historical sources assure us that, while dates have changed, the sequence of the days of the week has not. The Jews, who have kept the Sabbath for forty centuries, confirm this. Notice that we measure the year by one circuit of the earth around the sun, the month by one circuit of the moon around the earth, and the day by one revolution of the earth on its axis. But there’s no astronomical explanation for the week. The only reason the whole world keeps a seven-day week is that the Creator ordered it. Isn’t that a wonderful reason for the week? There are many more ways in which we can show respect for the authority of God and our devotion to Him. Our next lesson, “The Law of Life,” reveals the inherent blessing found in our becoming His partners in bringing others to Jesus. 1. What did Dr. Ivan Panin notice when he read the Bible in the original languages? That Hebrew and Greek are difficult to read if you’re not a mathematician. That the original texts were built numerically in sevens and multiples of seven. is something that affirms genuine authority. is not valid unless it contains the name, title, and territory of an authority. in the most holy place in heaven. on Emperor Constantine’s decree to keep Sunday. the little horn speaking great words. 5. What might be the consequences of undermining the Creator’s power? A lack of courage to obey God in time of persecution. We will expect Him to save us without a genuine conversion. We would have no reason to believe in a resurrection. pass laws to make people go to church on Sunday. remember the Creator and obey His law. build more and bigger prisons. 7. True or false? The Sabbath, God’s memorial of creation, will not be observed after Jesus returns.